Japanese scientist has invented a terahertz (THz) transmitter that is capable of transmitting digital data at a rate 10 times or more faster when compare to the fifth-generation mobile networks (5G) that expected to appear in 2020. The terahertz transmitter can transfer the whole content on a DVD (digital versatile disk) in a fraction of a second, according to the research scheduled to be presented at the International Solid-State Circuits Conference (ISSCC) 2017 in San Francisco, California. 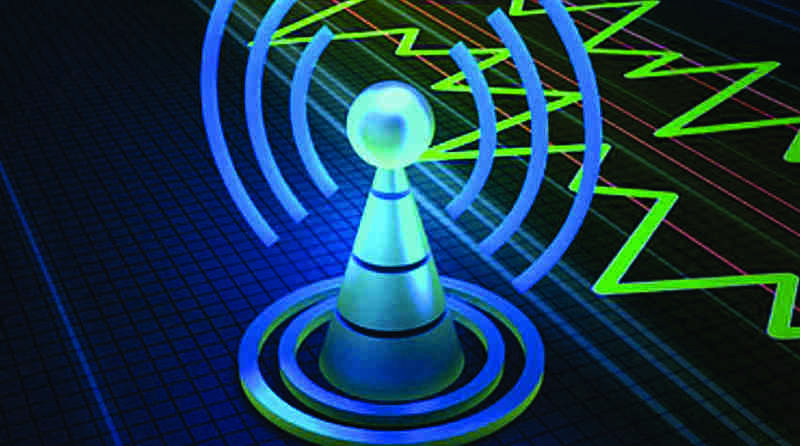 “Terahertz could offer ultra-high-speed links to satellites as well, which can only be wireless. That could, in turn, significantly boost in-flight network connection speeds, for example. Other possible applications include fast download from contents servers to mobile devices and ultra-fast wireless links between base stations,” said one of the researchers Minoru Fujishima, Professor at Hiroshima University in Japan. The terahertz band is a new and vast frequency resource expected to be used for future ultra-high-speed wireless communications. The research group has developed a transmitter that achieves a communication speed of 105 gigabits per second using the frequency range from 290 gigahertz (GHz) to 315 GHz. This range of frequencies is currently not allocated but fall within the frequency range from 275 GHz to 450 GHz, whose usage is to be discussed at the World Radio communication Conference (WRC) 2019 under the International Telecommunication Union Radiocommunication Section (ITU-R). The research group from Hiroshima University, Japan’s National Institute of Information and Communications Technology, and Panasonic Corporation plans to further develop 300-GHz ultrahigh-speed wireless circuits.